Helen Milby is the founder and president of Helen Milby & Company, a strategic, fundraising and non-profit consulting firm based in Washington, DC. Before founding HM&CO in 2005, Ms. Milby built a solid record as a senior political and non-profit fundraising executive. Over the last 20 years, she has worked tirelessly for moderate political leaders and pro-innovation ideals, serving first as the Director of Development for the Democratic Leadership Council and the Progressive Policy Institute, and then as president of her own company. Ms. Milby is a native Washingtonian, a graduate of the Madeira School, and she received a Bachelor of Arts from Colby College; she and her husband have two daughters. Anne Slaughter Andrew served as our U.S. Ambassador in Costa Rica under President Obama. In addition to her public service, former Amb. Andrew is a Social Entrepreneur investing, advising and advocating clean energy and sustainable development. Recent projects include co-founding TerViva, LLC, an agro-technology company developing environmentally sustainable crops for food and fuel; and Co-founder of EARTH University's Center for Rural Impact. In addition, former Amb. Andrew serves on the Board of Directors of Ad Astra Rocket Company in Houston, Texas and as an advisor to a number of start-up clean energy businesses. In addition to serving on the Board of Directors of Earth University, former Amb. Andrew also serves on the Board of the Natural Resources Defense Council (NRDC), Purdue University – Global Affairs Strategic Advisory Council and the Telluride Foundation (Colorado). Claude Fontheim is the CEO of Fontheim International, LLC. Mr. Fontheim advises clients regarding global corporate social responsibility and public policy. He has over 30 years of experience in these fields and was among the first CSR practitioners. Mr. Fontheim previously served on the President’s Advisory Committee on Trade Policy and Negotiations, the U.S. Trade Representative’s Trade Advisory Committee on Africa, and the State Department’s Advisory Committee on International Economic Policy. He was also Chairman of the Democratic Leadership Council’s Project on the Global Economy and International Trade. Matt Gelman is the General Manager of Congressional Affairs for Microsoft where he leads the company’s advocacy efforts before Congress. In this capacity, Matt manages a team of senior Microsoft lobbyists and works closely with stakeholders on legislative matters that impact the company. Matt took an unpaid leave of absence from Microsoft in January and February 2007 to serve as a senior advisor to House Majority Whip James Clyburn (D-SC) for the start of the 110th Congress. In this capacity, Matt helped assemble the new majority’s whip operation and advised leadership on strategy. Before joining Microsoft in 2002, Matt worked for three years as a Principal at the lobbying and public relations firm PodestaMattoon where he managed the firm’s biotechnology practice. Prior to joining PodestaMattoon, Matt worked for ten years on the House Democratic leadership staff. He served for eight years as the Floor Assistant to Democratic Whip David Bonior (D-MI) where he ran the Whip’s vote counting operation in the House and two years as a Special Assistant to House Majority Leader Richard Gephardt (D-MO). Matt currently serves on the Board of Horton’s Kids, a non-profit that provides comprehensive services to the children of Washington, D.C.’s Anacostia neighborhood. Matt also serves on the Board for the Faith and Politics Institute, a non-profit that that inspires political leaders to reflect and engage with one another for the good of our nation. Steve Glickman is the Co-Founder and Chief Executive Officer of the Economic Innovation Group (EIG), a bi-partisan research, policy, and advocacy organization focusing on revitalizing distressed communities through private investment and improved access to capital, supporting entrepreneurship and the growth of new businesses, and championing a more innovative U.S. economy. Steve is also an Adjunct Assistant Professor at Georgetown University, where he teaches on economic diplomacy and international trade for the School of Foreign Service. Steve previously served in the Obama Administration from 2009-2013, most recently as a senior economic advisor at the White House National Economic Council and National Security Council. Earlier, Steve served as Deputy Associate Counsel at the White House, as well as Chief of Staff for the U.S. and Foreign Commercial Service. Prior to his service in the Administration, Steve worked on Capitol Hill as Counsel to Chairman Henry Waxman and legislative aide to then-Congressman Ed Markey. He also served as a Trial Attorney and Special Assistant U.S. Attorney at the U.S. Department of Justice. Steve received his B.A. and M.A. in American Government from Georgetown University, J.D. from Columbia Law School, and LL.M. from the London School of Economics. He is a Council on Foreign Relations Term Member, Atlantic Council Millennium Fellow, and Truman National Security Fellow. Steve was born in Detroit, raised in California, and now lives with his wife, Christen, in Washington, DC. Raj Goyle is co-CEO of Bodhala, a leading legal technology company based in New York City and Ann Arbor focused on data analytics and legal procurement. Goyle received his undergraduate degree from Duke University and was elected to the the Kansas House of Representatives in 2006 where he was the first Asian American elected in the history of the state of Kansas. Goyle defeated a three-term Republican incumbent to become the first Democrat to ever hold the seat. Goyle was re-elected in 2008 and ran a nationally recognized race for the US House in 2010. In 2012, he was one of the top fundraisers for President Obama's re-election and currently serves on the National Finance Committee for Hillary Clinton. Prior to holding elected office, Goyle worked as a senior fellow and senior policy analyst at the Center for American Progress in Washington DC and as a civil rights attorney focused on election reform and juvenile justice. He is a frequent speaker on a range of political and policy topics. He serves on the boards of Hunger Free America, the American India Foundation, NewDEAL Democrats, Everyartist.me, Issue One and chairs the board of the State Innovation Exchange. Goyle lives in New York with his wife Monica Arora, a partner at Proskaeur. They have two daughters. Melissa was named among the Top Corporate Lobbyists in Washington in 2009, 2010, 2011, 2012, 2013, 2014 and 2015, by The Hill newspaper and as one of Washingtonian Magazine’s 100 Most Powerful Women in 2015. She was also named among the Most Powerful Women in Cable in 2012, 2013, 2014 and 2015 by CableFAX: The Magazine and as one of MultiChannel’s Wonder Women in 2015. She received her bachelor’s degree in political science from Randolph-Macon Woman’s College in Lynchburg, VA.
Gilberto S. Ocañas is a senior advisor at Dentons, and has spent thirty years working to build a network of political and business relationships with community leaders, operatives, entrepreneurs and elected officials. His coalition-building skills include gathering local intelligence, performing political outreach and crafting communications strategies that work for his clients. 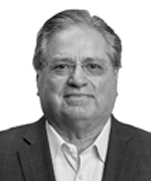 This unique combination of experience has led to Gilberto providing quality business management consulting services to clients in both the public and private sectors, domestically and internationally. A veteran of four presidential campaigns, Gilberto most recently led the National Latino Presidential Campaign for the Democratic National Committee (DNC) in 2000. Other roles include twice serving as the DNC regional field director, in addition to his role as DNC director of the Office of Voter Participation under the late Chairman Ron Brown. Gilberto has run statewide campaigns in Texas. When he began, he was one of the first Hispanics to do so. When he was director of Communications for the Southwest Voter Registration Education Project, he led one of the most successful voter registration and education groups in the Southwest. Holly Page is a Principal at the Page Agency, which helps people and organizations advance their ideas and causes in Washington. She works to spark effective connections, forge powerful partnerships, and create breakthrough opportunities for clients. She has worked with leading political and advocacy organizations, Fortune 500 corporations, industry associations, individuals, and several of the nation’s largest non-profits to develop key programs and navigate third party groups that influence the political and policy process. Leslie Pollner is a senior policy advisor in the firm's Public Policy & Regulation Group. Ms. Pollner focuses on several key industries, including transportation, economic development and housing. Her extensive experience in government at both the federal and local level allows her to help clients develop innovative solutions and advocacy strategies to achieve results. Prior to joining the firm, Ms. Pollner was the deputy mayor for federal affairs in Los Angeles under Mayor Antonio Villaraigosa. She led the city of Los Angeles' office in Washington, D.C., directed its federal advocacy efforts, and managed lobbying teams at the Los Angeles port, airport and public utilities commissions. Ms. Pollner was also the principal liaison with the U.S. Conference of Mayors while Mayor Villaraigosa was the president of the organization and worked with mayors across the country on key issues, including building a coalition to support the transportation reauthorization bill. Prior to that, Ms. Pollner was a two-time chief of staff for U.S. Reps. Suzanne Kosmas and Tim Mahoney, both of Florida. She has also worked in public affairs consulting and crisis communications support for Fortune 500 companies and helped develop communications strategies for the Bill & Melinda Gates Foundation, concentrating on the nonprofit's education investments.